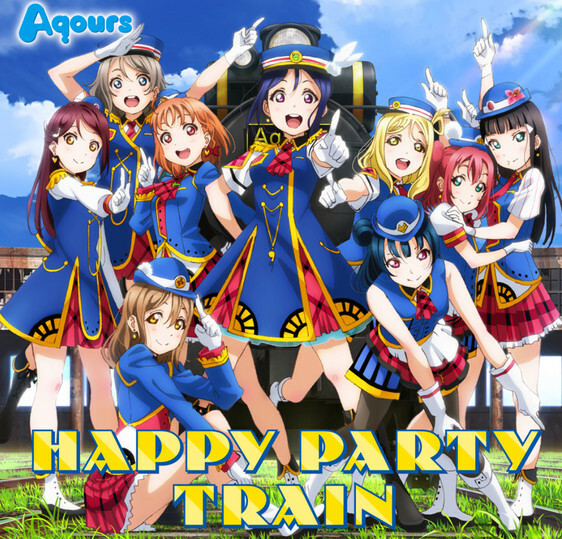 On April 5, the third Aqours single, “Happy Party Train,” was released. What better way to celebrate the new song than with a real Happy Party Train? 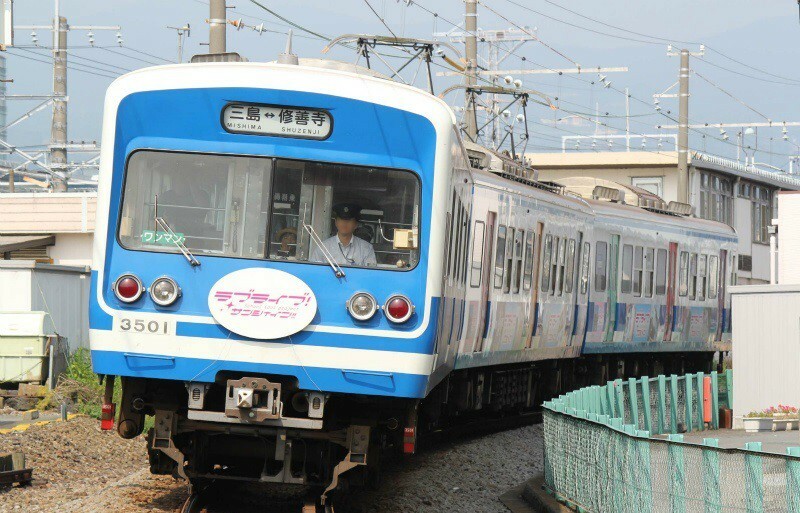 The train will run ten times a day on the Sunzu Line of the Izuhakone Railway, which connects Mishima with Shuzen Temple on the scenic Izu Peninsula. 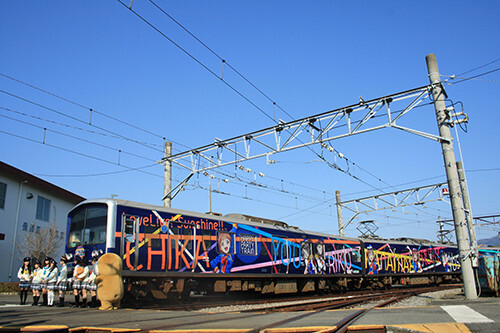 While the train launches on April 8, it had a kick-off event on April 5 with the nine members of Aqours. Although the Izuhakone Railway had Love Live! Sunshine!! 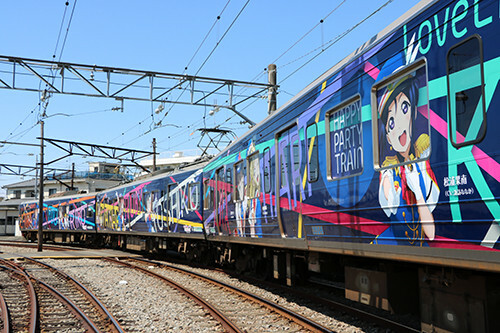 artwork last year (the anime takes place in nearby Numazu), it has now expanded to encompass the whole train, with three Aqours girls visible on each side of each train car. What’s more, Livers ( Love Live! 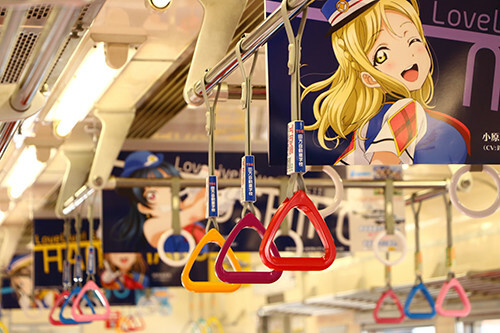 fans) can buy the “Happy Party Train” CD with a bonus prize at the Izu-Nagaoka station, and beginning on April 8, life-size character panels of Aqours members will be on display. In other Love Live! news, a new website launched to promote PDP: Perfect Dream Project, a project related to Love Live! 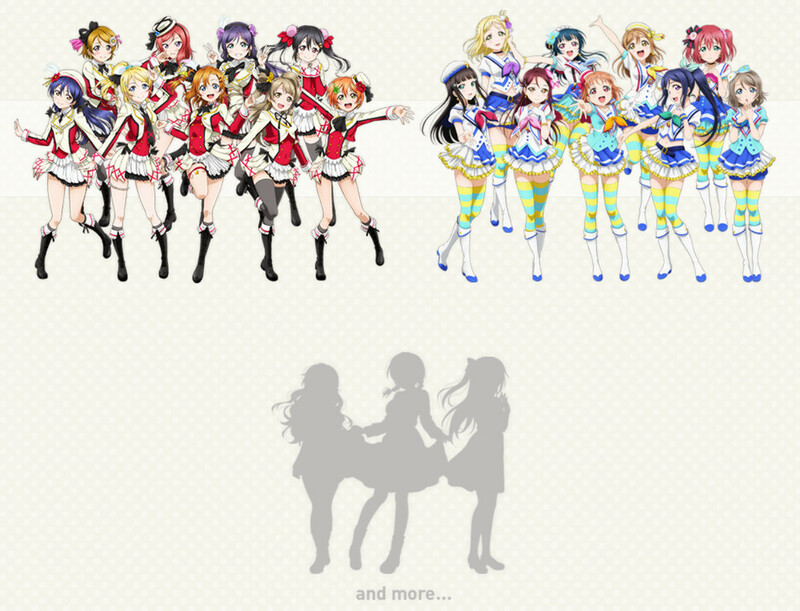 School Idol Festival, a smartphone rhythm game based on the multimedia franchise . 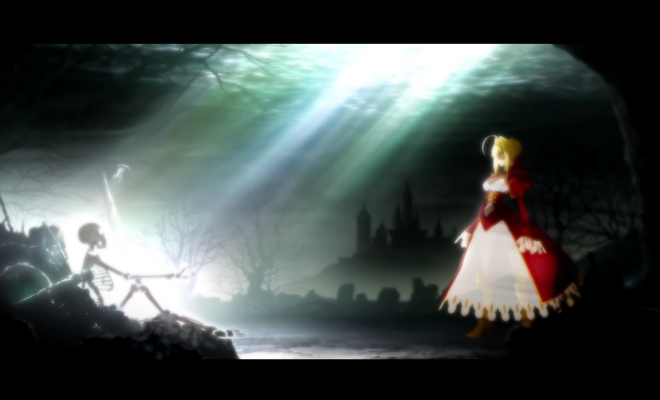 The site is sparse at the moment, but intriguingly, it includes a silhouette of three unknown girls. 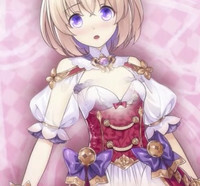 Could this be a new idol unit? We’ll find out soon enough! PDP honors the fourth anniversary of Love Live! School Idol Festival, which launched on April 15, 2013. Perhaps this is when details will be revealed? As for Love Live! Sunshine!! , it returns for a second season this fall. Aqours will promote “Happy Party Train” with a concert tour in August and September. Kanan is prominently featured in the song’s music video, which was released last month. Busou Shoujo Machiavellianism Ep. 12 is now available in OS.